Product feature: The seductive scent of sunbathe-matured oranges and 24 exquisite herbs yield this specialty after the recipe of the Saltners. Taste: Saltners herbsbitter is nature pleasure purely. Taste the difference! 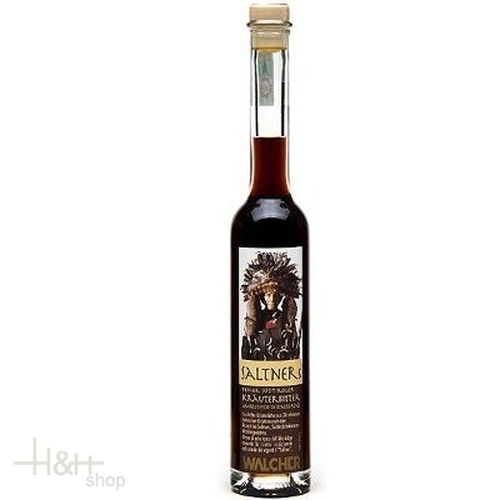 Buy now this product together with Nut Liqueur Nusseler Pircher South Tyrol 70 cl. ready for shipment: in stock Nut Liqueur Nusseler Pircher South Tyrol 70 cl. Smoked Pork Loin 1/2 Nocker approx. 2 kg. 29,55 EUR / 73,88 €/kg. South Tyrolean Venison goulash 830 gr. - Bernardi Karl 22,35 EUR / 26,93 €/kg. Goulash soup South Tirol - 830 ml. Bernardi Karl 8,15 EUR / 9,82 €/kg.